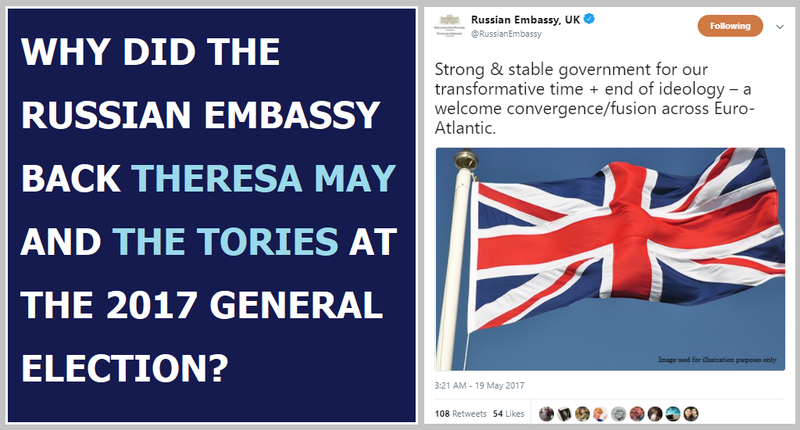 Why did the Russian Embassy back Theresa May at the 2017 General Election? Backing one particular political party in another country's general election is a serious breach of diplomatic protocol. Even if governments privately favour one particular party to win in another country's election, it's considered very bad diplomatic form to actually attempt to sway the election with partisan public statements. So aside from demonstrating their willingness to ignore diplomatic protocol and interfere in other nations' sovereign affairs, why would the Russian Embassy have chosen to back Theresa May and the Tories at the 2017 General Election? The £3 million in donations the Tories have lapped up from Russian oligarchs and Putin cronies since 2010 mean they're a pliable government willing to do Moscow's bidding for the right price? The fact that the Tory party have consistently blocked Magnitsky powers to clamp down on all the Russian dark money sloshing around the City of London, the UK housing market, and their own party coffers? The fact that Jeremy Corbyn has been openly calling for Magnitsky powers since at least 2010, and has continued to criticise Russian human rights since becoming Labour leader in 2015? 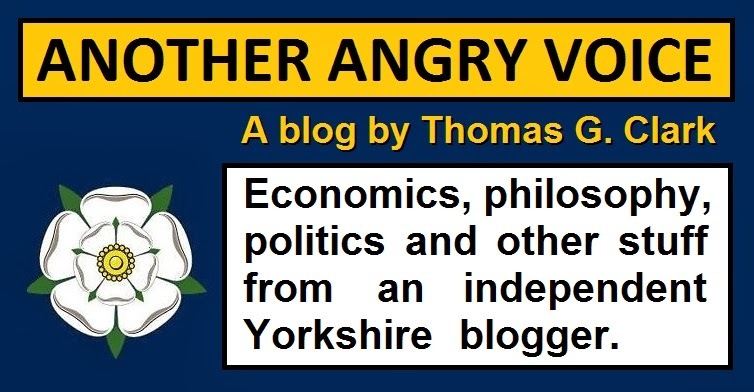 The fact that they see a damaging Brexit as a hefty strategic blow that will do economic harm to members of the NATO alliance, and they know as well as we do that the harder the Brexit, the greater the economic damage? The fact that Russia is the UK's biggest export market for weapons grade nuclear materials, and that a Corbyn government would likely clamp down on the sale of chemical, biological, radiological and nuclear products to countries with poor human rights records? The fact that as Home Secretary Theresa May stubbornly resisted calls for an official inquiry into the Litvenenko poisoning, citing relations with Russia as her main reason for her obstructionism? The fact that Theresa May introduced new rules to make it much easier for mega-rich Russian oligarchs to buy British passports, whilst simultaneously introducing sexist and discriminatory income requirement rules to make it much harder for the spouses of British people to get residency. The fact that the Russians see Theresa May as a cipher for the City of London and their money laundering operations to turn the ill-gotten gains of Russian oligarchs into "clean money"? Whatever the reason, it's telling that the Russians were backing Theresa May in 2017, yet the UK mainstream media are intent on spewing out reality-reversing propaganda that Jeremy Corbyn is the "Russian stooge".